You don't earn coins playing against friends, only in offline and online tournaments. I sold Arshavin and Tevez, and bought Sergio Aguero. All I need now is my IF Thiago Silva to sell, and I can spend some more cash. 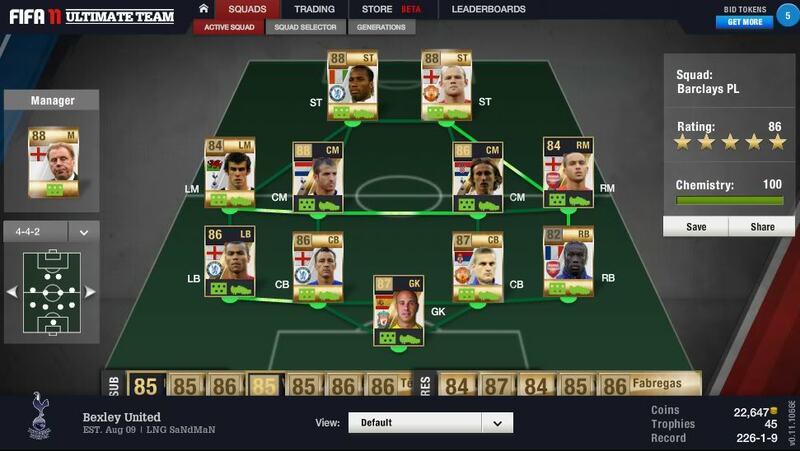 Need to get TOTY Samba to partner Vidic in defence. 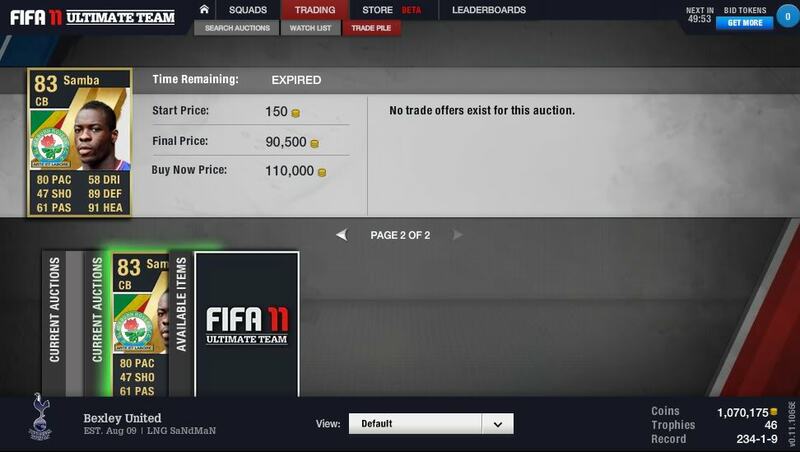 Got bored with my Premiership team, so put them all up for sale and am starting again, to get me in the mood for FUT12. Just building the Tottenham squad now, and will blow the rest on Gold Packs. 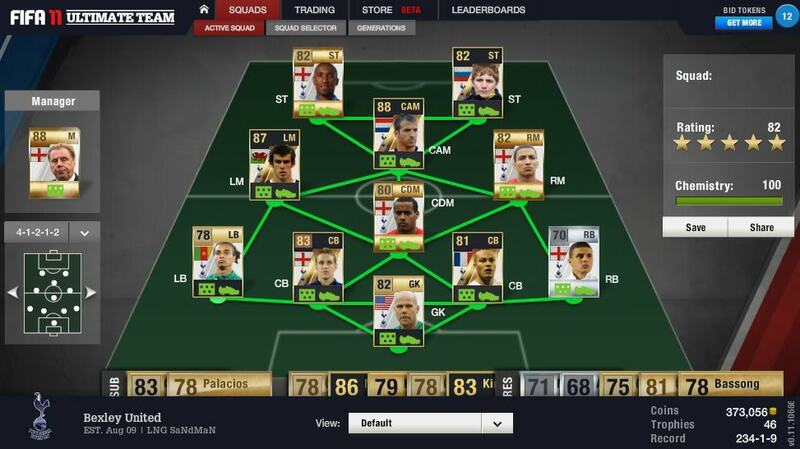 Built a Tottenham side a while back, but need to do some trading as a result of Deadline Day moves. Can finally get rid of Crouch, Palacios, Hutton and Jenas , and need to buy Scott Parker from West Ham and also Cristian Ceballos (Barcelona), Souleymane Coulibaly (Siene) and Yago Falque (Juventus), if they're in the game.